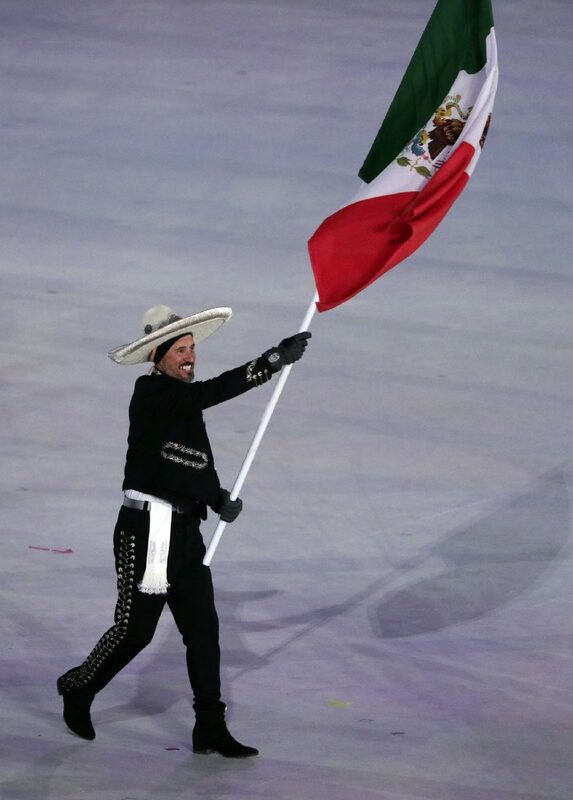 German Madrazo carries the flag of Mexico during the opening ceremony of the 2018 Winter Olympics in Pyeongchang, South Korea, Friday, Feb. 9, 2018. 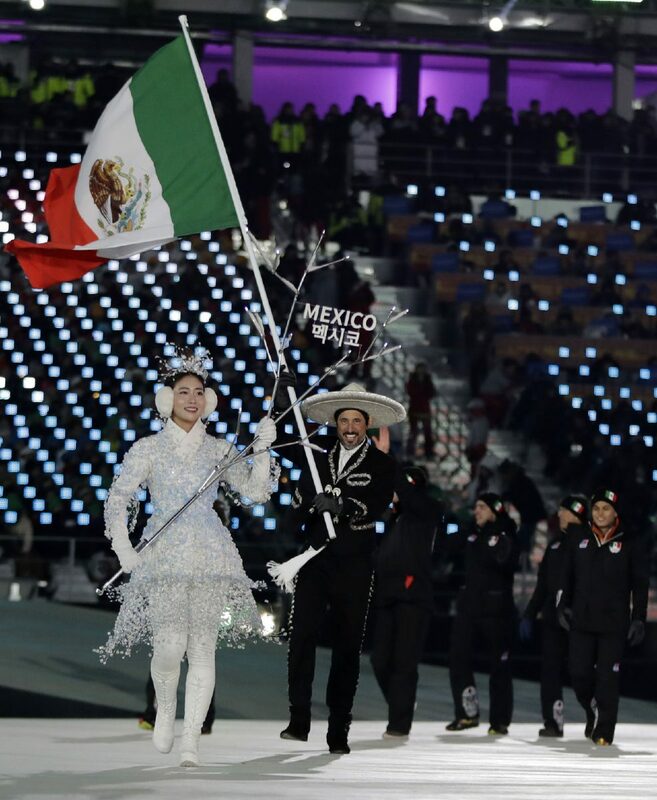 His face told the world how utterly happy he was to be holding the flag for Mexico in the opening ceremonies of the 2018 Winter Olympics on Friday in Pyeongchang, South Korea. 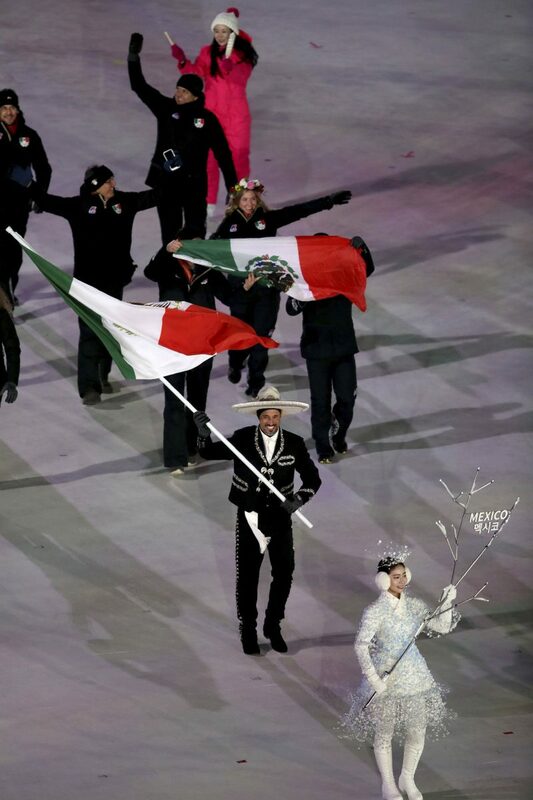 What he can’t see, however, is how happy and proud we all are back in the Rio Grande Valley as we root for German Madrazo, owner of McAllen’s Valley Running Company, as he competes this week in cross-country skiing in his first Olympics. Madrazo’s story is one of perseverance, determination and utter discipline. Because to qualify to compete in the Olympics at the age of 43, in a sport that he just took up within the past two years, is nothing short of amazing. Furthermore, it’s a sport he practices in our subtropical climate without snow. He does so by often pulling tires on ski trainers on the dirt and rocks at the Mission trails. 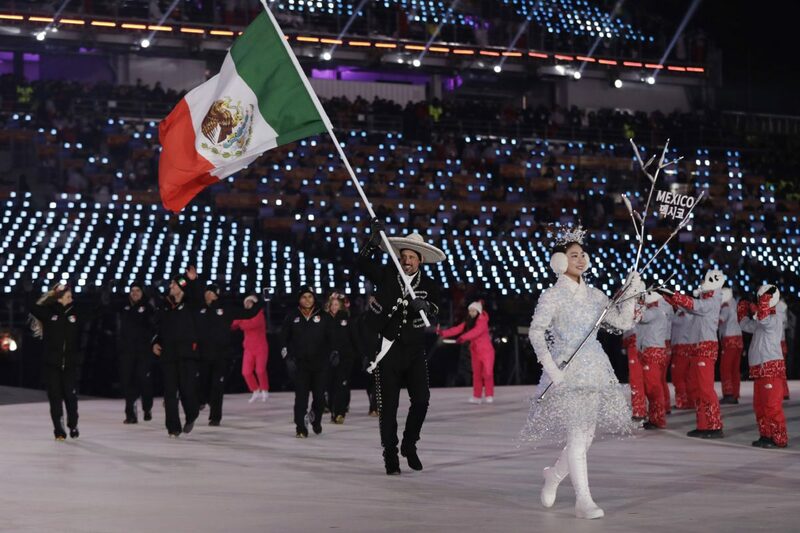 And he almost always has that same familiar smile that the world saw during the opening ceremonies as he proudly waved the flag of his home country on Friday as he walked in with Mexico’s three other Olympic athletes — the most they’ve had in several games. An inspirational athlete, Madrazo has competed in 18 Ironmen triathlons, including the World Championships in Kona, Hawaii, last October. He has completed dozens of marathons, and is on the McAllen Marathon Advisory Board. He also wrote a weekly column for The Monitor last year. But the first time this father of triplets and husband ever competed on the slopes was in January 2017. “Never stop dreaming, never stop believing, never stop fighting!” Madrazo wrote in a Facebook post last month after qualifying for the Olympics. Watch parties are being organized in the RGV, and undoubtedly in his hometown of Queretaro, Mexico. We send him our pride and hope for the best for our local hero whose toothy grin makes us all feel better.